This is hands down the best make up remover! Seriously. I had stopped believing that any wipe or cleanser could do that, so I incorporated 100% organic coconut oil to my routine, which did the job for me. However, using oil can get messy and I always had to use a facewash to get rid of excess oil before applying my night moisturizer. 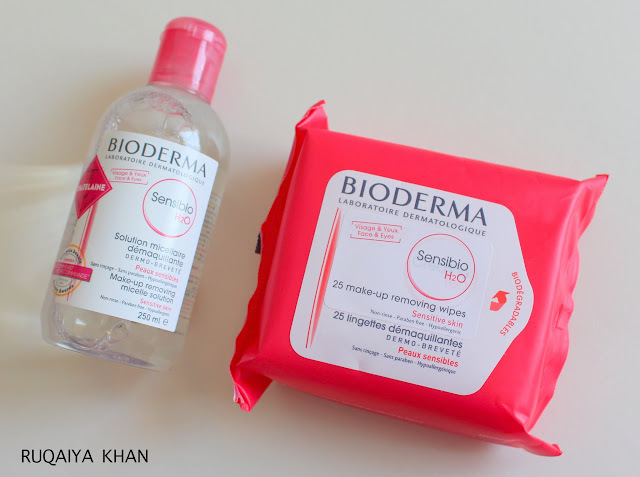 Bioderma Sensibio H2O solved that issue too. It does not require me to wash the face after cleansing. 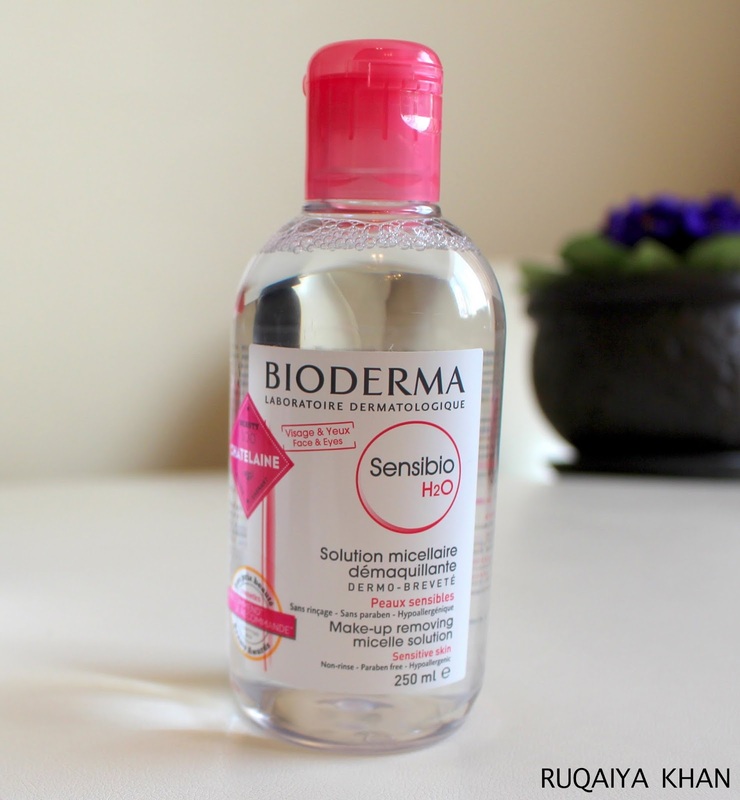 Even though this is not specifically mentioned on the packaging, because double cleansing is great but sometimes I am too lazy to do that ... and Sensibio never disappoints. Its soo incredibly gentle - my dry/sensitive skin loves it. Lets find out more.. I usually use this at night time, but sometimes, I use it just to cleanse my face after returning from a long walk to the park. It's so refreshing and takes off all the impurities and the smell of the outdoors. 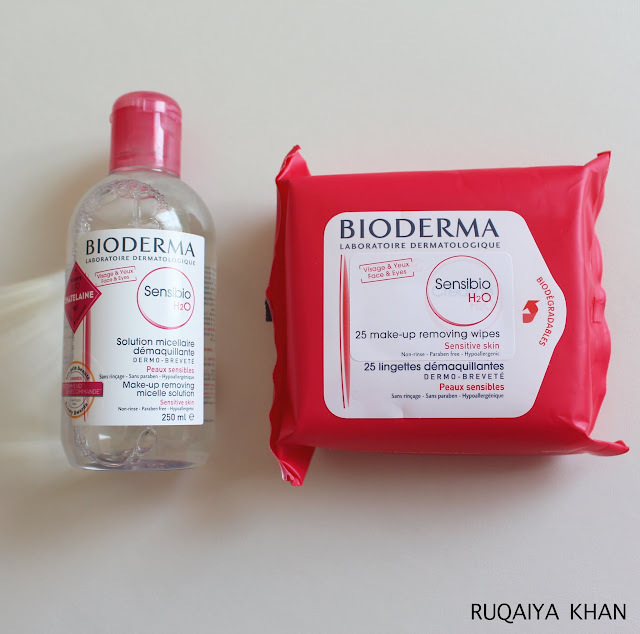 Its a fantastic makeup remover, which is free from fragrance. I do not need a ton of product to cleanse my face. I just soak a cotton pad and remove almost all the makeup and then I'd go over, one more time, to catch any traces of makeup that remain. That it. I do not need to wash my face! Like seriously. It keeps skin clean and also keeps it moisturized. My dry/sensitive skin had no reactions to this and its formulated with a patented natural DAF (Dermatological Advanced Formulation) complex that raises skin's tolerance threshold. I love it and I would totally recommend this. Find out more on how to use this here. Thank goodness for these wipes. I travelled with them all the way to British Columbia and used them on the road, in the car, at the hotel, the parks and the restroom..like everywhere, whenever I wanted to freshen up, I would pull one wipe out and it would clean up my entire face and I could easily remove all the makeup. Since its also very hydrating, I would go straight to applying makeup starting with the primer and foundation. Its got all the greatness of micelle solution with the convenience of a wipe. I would highly recommend these. 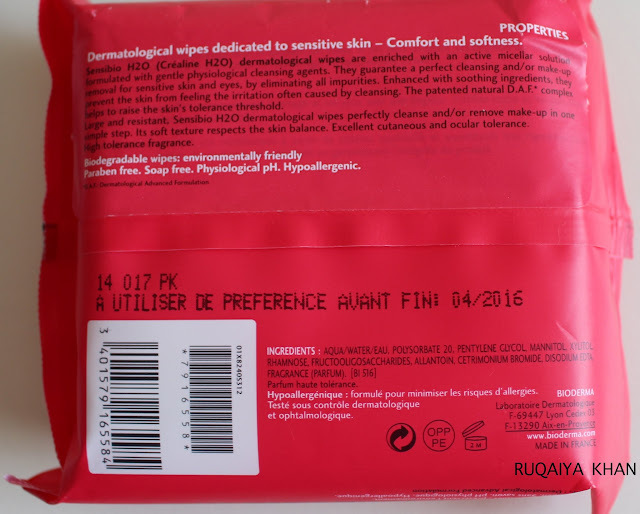 You can find these at Shoppers Drug Mart and other major retailers.